New School for Donaghmede, Howth, Belmayne & Clongriffin. 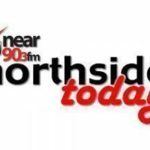 Denise Kelly, Director of Schools with City of Dublin Education and Training Board and Blake Hodkinson join Noel to discuss the patronage of the proposed new school for Donaghmede, Howth, Belmayne & Clongriffin. Below please find the voting link and please vote in order to express your opinion in relation to the patronage of your children’s new School.